Updated May 17, 2018, 1:45 p.m. PT: Meghan Markle issued an official statement just two days before her wedding that confirmed in no uncertain terms that her father, Thomas Markle, will not be at the wedding. Updated May 15, 2018, 4:00 p.m. PT: It’s official – Meghan Markle’s father Thomas will not be attending the royal wedding this weekend. He broke the bad news to TMZ saying “[Doctors] will go in and clear blockage, repair damage and put a stent where it is needed,” on Wednesday, May 16 at 7:30 p.m.
Due to the emergency procedure, Thomas will not be able to fly to London for the big affair. Updated May 15, 2018, 12:00 p.m. PT: Now it looks like Thomas Markle, father of Meghan Markle and almost-father-in-law of Prince Harry, is having a change of heart about whether or not he wants to go to the royal wedding on May 19. People magazine reported on Tuesday that Markle was once again speaking to the press about his plans to attend (just a day after we all thought he wasn’t) and how he didn’t want his recent heart attack to keep him from participating in one of the most historic, important days of his and his daughter’s lives. This statement comes hours after Meghan apparently tried to get in touch with her father once news of his heart attack and plans to stay in the United States emerged. Thomas also claims Meghan expressed to him, once they finally did touch base over text message, that she wasn’t upset about the staged paparazzi photos that he apologized for taking — the implication being she wanted to make up before her wedding day. It’s still unclear whether Thomas will actually fly to the United Kingdom to attend the wedding and walk his daughter down the aisle, because, per TMZ, he was admitted to the hospital once again on Monday evening with chest pains. TMZ‘s report indicates doctors aren’t giving him the all clear despite his repeated attempts to get permission to check out. For now, his desire to be there on Meghan’s wedding day is just that: a simple desire. We’ll have to wait and see if he’ll actually make it to the wedding on Saturday. Original story, published May 14, 2018, 3:10 p.m. PT: It’s been touch-and-go where Meghan Markle’s relationship with her father, Thomas Markle, is concerned. But even with the various highs and lows they’ve gone through (especially in recent months as she’s planned her wedding), it was believed that the two could come together on May 19 for Markle’s wedding to Prince Harry. Now, just six days before Markle says I do, news has emerged that Thomas will be unable to attend the wedding. The reason, according to Hollywood Life, is quite grave: Thomas checked himself into the hospital on May 8 after suffering a heart attack. Hollywood Life also notes that he now thankfully OK and has checked out. But it appears he’s going to stay home, rest and recuperate rather than tempt fate at perhaps the most high-profile event of 2018. 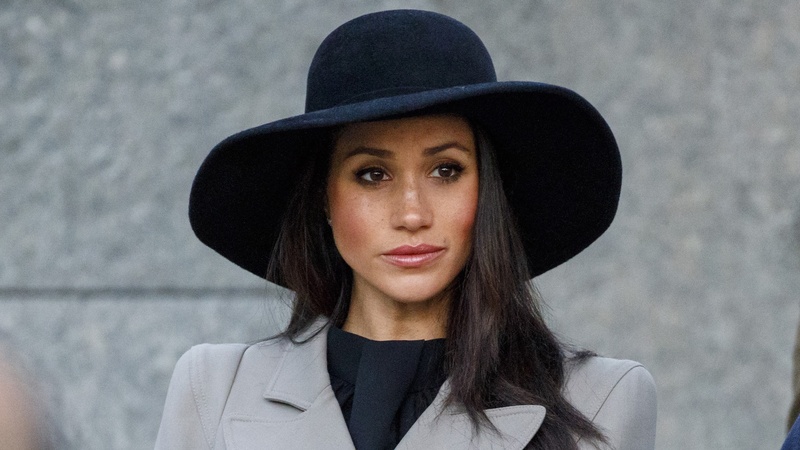 Just a day after the truth emerged about the photos, Markle’s half-sister, Samantha Markle, took responsibility for the photos. “The bad press over my father… is my fault. The media was unfairly making him look bad so I suggested he do positive photos for his benefit and the benefit of the royal family,” she wrote in a now-deleted tweet. Markle and her father have a bit of a fraught personal history, but it seemed that would have been laid to the side in an attempt to celebrate this happy occasion. Thomas was even supposed to fly to London this week to meet members of the royal family in private, and he would have helped Markle from the car and walked her to the chapel; that will no longer be happening. Additionally, a private meeting may happen at a later date, but that’s unconfirmed. Regardless of this recent drama, we hope Thomas gets well soon. Missing your daughter’s wedding, regardless of the drama, is no good at all.